HUNTINGTON, W.Va. – Marshall’s Conference USA football championship season of 2014 received a reaffirmation Tuesday, when the Thundering Herd was recognized with a conference-record 10 selections on the All-C-USA first team. C-USA announced the all-conference teams and a 27-player All-Freshman Team as selected by the 13 C-USA team head coaches. Marshall had a total of 20 selections – 17 on all-conference (first or second team or honorable mention) and three on the All-Freshman squad. The Herd (12-1) received 10 of the 28 first-team picks. No other team had more than three (UAB and FIU). Ten of the 13 C-USA schools had first-team representatives. Marshall’s 10 all-conference first team picks tops the previous C-USA high of eight first-teamers, shared by Southern Miss in 1996, 1997 and 2003, and Louisville in 2001. All of those seasons occurred before the league split into divisions when the Herd and five other schools joined the league. Marshall’s previous high for first-team honorees was four, in 2006, 2009 and 2013. The 10 are the most all-conference first-team picks for Marshall since the 1999 Herd had 13 in the Mid-American Conference on a 13-0 team that finished No. 10 in the national polls. The conference’s seven major awards will be announced Wednesday. The 10 players on the All-Conference USA first team from Coach Doc Holliday’s program are quarterback Rakeem Cato, running back Devon Johnson, offensive tackle Clint Van Horn, slot receiver Tommy Shuler, defensive tackle James Rouse, linebacker Neville Hewitt, cornerback Darryl Roberts, punter Tyler Williams and long snapper Matt Cincotta. Jasperse, Shuler and Rouse are first-team repeaters from 2013, when Marshall had four first-team selections. It is Shuler’s third straight all-conference first team nod – a first for Marshall in 10 C-USA seasons -- and Cato was a first-team pick in 2012. Cato and Van Horn were second-teamers last season. Cato, Jasperse, Shuler, Rouse, Hewitt and Roberts are seniors. Johnson, Van Horn, Williams and Cincotta are juniors. 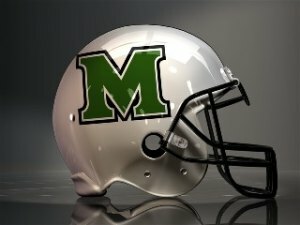 Marshall had two second-team selections in defensive end Arnold Blackmon and linebacker Jermaine Holmes, both seniors. Holmes is a repeat second-teamer from 2013. Honorable mention pick for the Herd belong to senior tight end Eric Frohnapfel, senior defensive end Ra’Shawde Myers, junior linebacker D.J. Hunter, sophomore cornerback Corey Tindal, and Shuler, this time as a punt return man. Myers and Tindal also were honorable mention last season. The Herd’s three members of the 2014 All-Freshman Team are tight end Ryan Yurachek, wide receiver Angelo Jean-Louis and cornerback/nickel Antavis Rowe. The Herd won its first C-USA Championship last Saturday with a 26-23 victory over Louisiana Tech at Edwards Stadium. Marshall accepted a bid on Sunday to the inaugural Boca Raton Bowl to face Mid-American Conference champion Northern Illinois (11-2). The Boca Raton Bowl -- the only postseason game to match league champions outside the two College Football Playoff semifinals -- is scheduled Dec. 23 at 6 p.m. (ESPN telecast) at FAU Stadium. 2014 – (10) Rakeem Cato, QB; Devon Johnson, RB; Chris Jasperse, OL; Clint Van Horn, OL; Tommy Shuler, WR; James Rouse, DL; Neville Hewitt, LB; Darryl Roberts, DB; Tyler Williams P; Matt Cincotta, LS. 2013 – (4) Chris Jasperse, OL; Gator Hoskins, TE; Tommy Shuler, WR; James Rouse, DT. 2012 – (2) Rakeem Cato, QB; Tommy Shuler, WR. 2011 – (2) Vinny Curry, DL; Omar Brown, DB. 2010 – (2) Vinny Curry, DL; Mario Harvey, LB. 2009 – (4) Cody Slate, TE; Mario Harvey, LB; Craig Ratanamorn, PK; Sean McClellan, LS. 2008 – (1) Albert McClellan, DL. 2007 – (1) Doug Legursky, OL. 2006 – (4) Ahmad Bradshaw, RB; Doug Legursky, OL; Albert McClellan, DL; Curtis Keyes, DB. 2014 – (2) Arnold Blackmon, DL; Jermaine Holmes, LB. 2013 – (5) Rakeem Cato, QB; Garrett Scott, OL; Clint Van Horn, OL; Jermaine Holmes, LB; Devon Smith, PR. 2012 – (3) Gator Hoskins, TE; Aaron Dobson, WR; Dominick LeGrande, DB. 2010 – (2) Chad Schofield, OL; Lee Smith, TE. 2009 – (3) Darius Marshall, RB; Daniel Baldridge, OL; Albert McClellan, DL. 2008 – (5) Darius Marshall, RB; Brian Leggett, OL; Darius Passmore, WR; Maurice Kitchens, LB; C.J. Spillman, DB. 2007 – (2) Cody Slate, TE; C.J. Spillman, DB. 2005 – (3) Ahmad Bradshaw, RB; Doug Legursky, OL; Chris Hawkins, DB. 2014 – (5) Eric Frohnapfel, TE; Ra’Shawde Myers, DL; D.J. Hunter, LB; Corey Tindal, DB; Tommy Shuler, PR. 2013 – (7) Essray Taliaferro, RB; Alex Bazzie, DL; Ra’Shawde Myers, DL; Evan McKelvey, LB; Monterius Lovett, DB; Darryl Roberts, DB; Corey Tindal, DB. 2012 – (8) Chris Jasperse, OL; Jordan Jeffries, OL; Alex Schooler, OL; Antavious Wilson, WR; Alex Bazzie, DL; Brandon Sparrow, DL; Okechukwu Okoroha, DB; Justin Haig, K.
2011 – (2) Ryan Tillman, OL; Aaron Dobson, WR. 2010 – (3) Aaron Dobson, WR; Donald Brown, DB; Omar Brown, DB. 2009 – (6) Chad Schofield, OL; Lee Smith, TE; Vinny Curry, DL; Michael Janac, DL; DeQuan Bembry, DB; Ashton Hall, DB. 2008 – (4) Cody Slate, TE; Michael Janac, DL; Mario Harvey, LB; Darius Marshall, KR. 2007 – (4) Bernard Morris, QB; Byron Tinker, DL; Maurice Kitchens, LB; Emmanuel Spann, PR. 2006 – (3) Cody Slate, TE; Matt Couch, LB; Josh Johnson, LB. 2005 – Third team chosen instead of honorable mention; no Marshall players on third team. 2014 – (3) Ryan Yurachek, TE; Angelo Jean-Louis, WR; Antavis Rowe, DB. 2013 – (5) Michael Selby, OL; Gary Thompson, DL; Stefan Houston, LB; A.J. Leggett, DB; Corey Tindal, DB. 2012 – (4) Kevin Grooms, RB; Cameron Dees, OL; D.J. Hunter, LB; Tyler Williams, P.
2011 – (2) Travon Van, RB; Chris Jasperse, OL. 2010 – (1) Marques Aiken, DL. 2009 – (1) Antavious Wilson, WR. 2008 – (3) C.J. Wood, OL; DeQuan Bembry, DB; Tyler Warner, PK. 2007 – (2) Darius Marshall, RB; Josh Evans, OL. 2006 – (2) Cody Slate, TE; Zearrick Matthews, DB. 2005 – (2) Albert McClellan, DE; Marty Biagi, P.